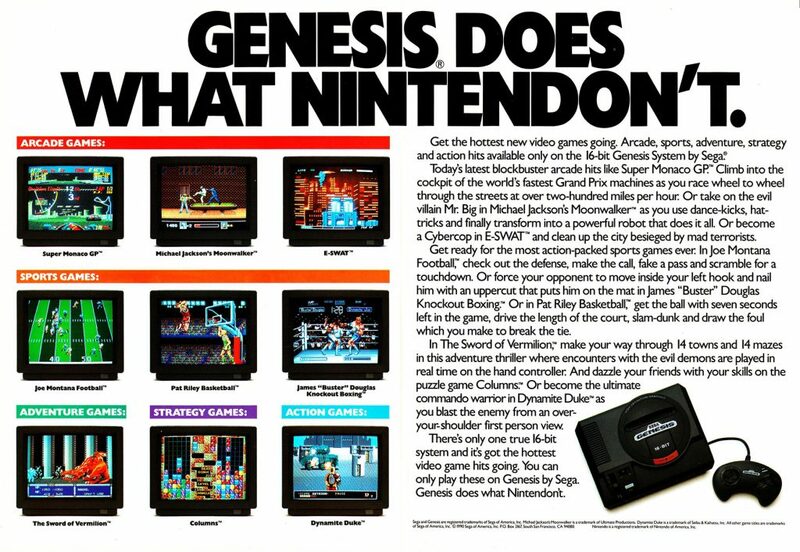 This past week marked the 29th anniversary of the launch of the Sega Genesis in North America. The Genesis (or Mega Drive as it’s known in Japan and Europe) was truly a groundbreaking console, and its massive success in the United States turned Sega from a joke trying to compete against Nintendo to Nintendo’s biggest rival. In fact, if you were a video game player in the U.S. during the early 90s, the extremely common and hard fought arguments were over who was better: Nintendo or Sega. During its lifecycle, the Genesis produced some really amazing games that have stood the test of time. 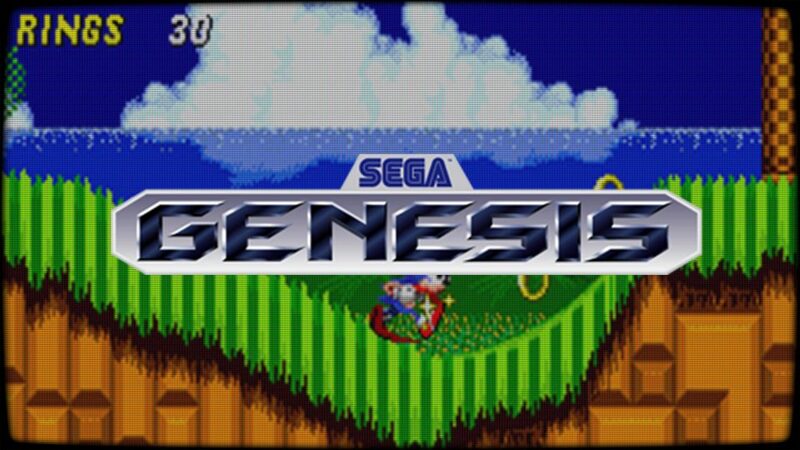 Our list here is, in my opinion, the 10 best Sega Genesis games. To be clear, games on this list had to have released on the Genesis in the U.S. Sadly, some great games that only saw Japanese or European releases don’t count on this list. Keep in mind that the games are appearing in random order, so the number they are placed at doesn’t mean that’s where I think they deserve to be on everyone’s list. 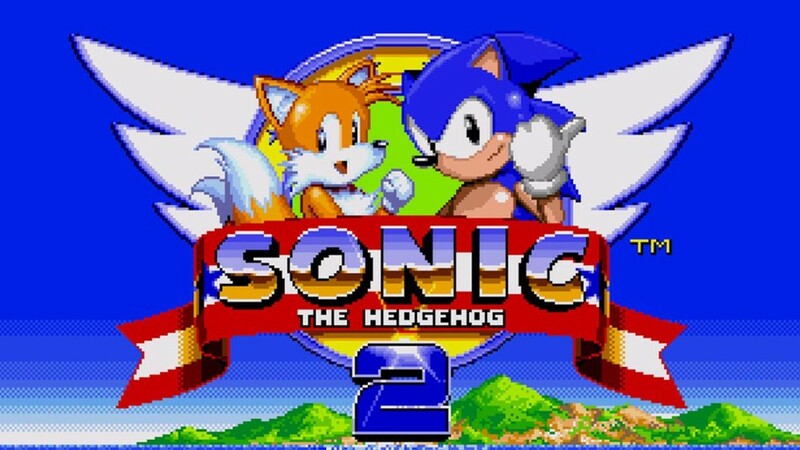 In my opinion, Sonic 2 is the best Sonic the Hedgehog game. The original Sonic game was really good, and when it came out in 1991, it was unlike all other platformers. Mario was a slow experience meant to encourage you to take your time and explore. Sonic was the opposite. It was all about going as fast as possible through a level. Sonic the Hedgehog was a great experience and showed what the Genesis could do. The thing is, Sonic 2 is better. It has refined gameplay elements, new additions like the spin dash, and a companion throughout the game in Tails. Plus, let’s not forget the amazing music Sonic 2 had; I’m literally humming the Chemical Plant Zone theme as I’m writing this. To be fair, all the Genesis Sonic games had awesome music. However, if you’re starting off a best Genesis game list, or if you’re looking to find what game you should experience first on Genesis, Sonic 2 has to be your first stop. Most people in the 90s bought the Genesis because of Sonic, after all. There will be people who will try to tell you that the Super Nintendo version of Mortal Kombat is really good and equal to the Genesis version. Those people are completely wrong. Nintendo took an odd route with Mortal Kombat, choosing to censor a lot of the game because they wanted to do “what was best for the children.” Sega chose to give you the full Mortal Kombat experience, and that’s why most people went with the Genesis version. 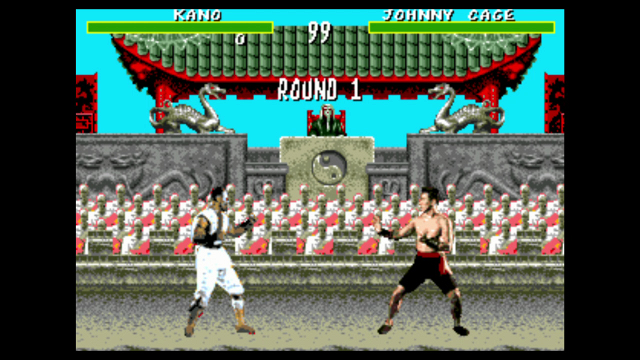 Mortal Kombat was an incredibly fun game to play at the arcades in the 90s. Its gameplay was solid, the diversity in characters was great, and yeah…you could rip someone’s heart out at the end of a match. The Genesis version of the game was just like the arcade version, which meant you could save yourself time and money and invite your friends to your house to play the game. Some will argue that the second Mortal Kombat game was better. Sure, it did have have more character variety and gameplay variety. It also introduced Friendships and Babalities. However, the first Mortal Kombat was so different from other fighting games and such an awesome experience to have at home, that I argue that the original game is the best. I know what you’re thinking: “A movie tie-in game? Those are terrible!”. For the most part, you would be completely correct. Movie tie-in games on NES, SNES, and Genesis were normally pretty awful. 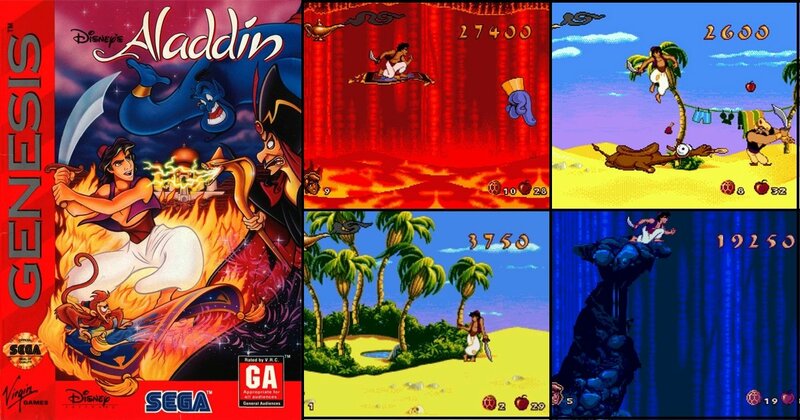 However, Aladdin on Genesis wasn’t just a great movie tie-in game, it was a great game in general. Again, some will try to say that the SNES version of Aladdin was just as good, but again, they are completely wrong. Disney’s own animators worked with Sega and Virgin Games to recreate the locations and characters from the movie, so what you got was a game that looked just like the movie. Then there was the gameplay itself. The levels were huge and given a ton of details that people who saw the movie would immediately recognize. The flying carpet section of the game could be a little challenging, but overall, Aladdin was a terrific experience. Even if you’re not a fan of the movie, check out Aladdin on Genesis. It’s a fantastic game on its own. Probably one of my all time favorite side-scrolling beat-em-up games. Streets of Rage 2 did what any good sequel should do: take what made the first game good and expand on it. Streets of Rage 2 had more levels, more moves, and more characters than the original game. Everything about Streets of Rage 2 was better than the original game, including the music. Seriously, take a moment and look up the Boss Theme from Streets of Rage 2. It, and the boss theme from the original game, are one of the best tracks in gaming during the 16-bit era. What really sets Streets of Rage 2 apart was just how good of a game it was to play with two players. I can remember spending countless hours with a friend playing the game, getting more enjoyment from having the experience with a friend than playing solo. Streets of Rage 2 is a game I still return to once a year to replay it, it’s that good of a game. 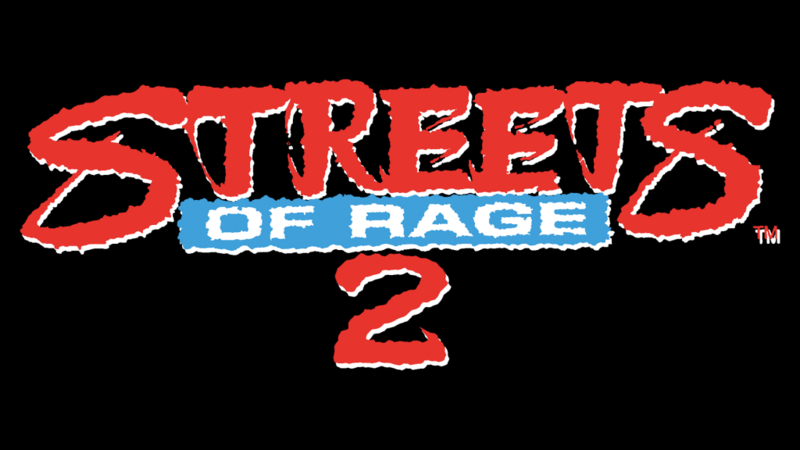 If you’re looking for a great Genesis co-op game, Streets of Rage 2 is where to start. Okay, let me first start by saying the obvious. I know. Comix Zone is short, like 3 levels short. That said, it really was one of the most unique Genesis games to come out and a really great game. You played as Sketch, a comic artist that gets pulled into his own comic and must defeat enemies to escape. The look of the game alone still holds up well today and makes it a really unique game. When was the last time you played a game in a comic book? Some will say that the game gets too repetitive, but this, of course, can be said about every beat-em-up game. 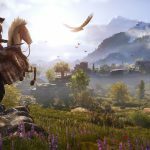 I personally think that the game’s short length helps this problem out, the game doesn’t get boring and wear out its welcome. 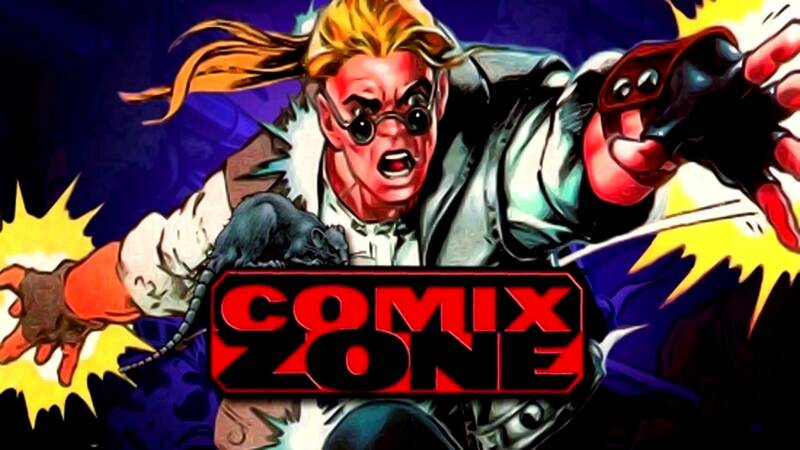 If you’re looking for a solid solo beat-em-up game, Comix Zone should be on your list. Like most Genesis games on this list, this game also featured a killer soundtrack. If you go to look up the soundtrack, make sure to look up the Genesis soundtrack. The Game Boy Advance port of this game replaced all the music with….much worse music. Even if you’re not a basketball fan, NBA Jam was simply too much fun to ignore. NBA Jam understood what a game needed to be: fun. And it was very fun even to those who didn’t care about the sport. Nailing its gameplay and presentation, NBA Jam simplified basketball. Shots were extremely easy to make, gameplay was fast and limited to only 2v2, and the game didn’t take itself seriously. Add a crazy announcer saying “Boom Shaka-laka!” and “He’s on Fire!” and you’ve got yourself a crazy recipe for fun. People have been begging for this series to return for years, and maybe someday soon we will get that wish. 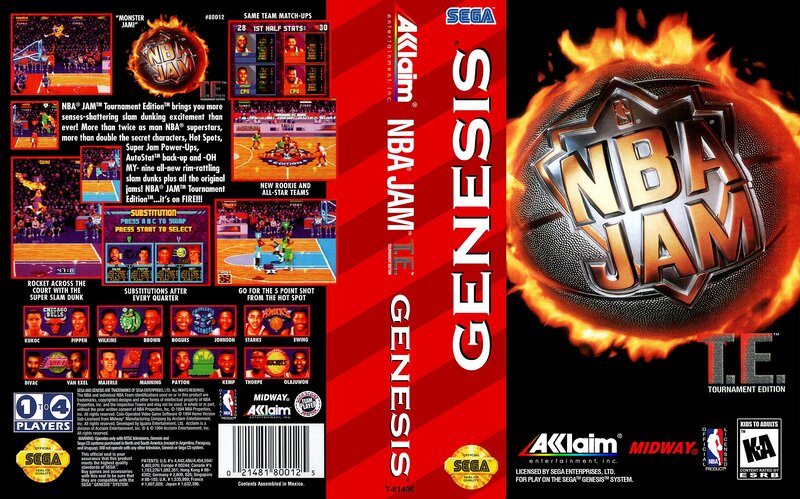 Until then, the Genesis version of NBA Jam is a must play game. It doesn’t matter if the roster isn’t up to date with today’s NBA or if you’re even a basketball fan. NBA Jam is simply crazy fun. Nintendo fans had Final Fantasy. Sega fans had Phantasy Star and, boy, Phantasy Star IV was great. Not only is Phantasy Star IV the best game in the series, I’d argue that it’s one of the best RPGs ever. Phantasy Star IV combined deep storytelling with fantastic gameplay, and it also did something unique at the time: combine science fiction and fantasy together pretty much perfectly. In short, Phantasy Star IV knew how to tell a great story and keep you engaged until the very end. Its turn-based combat was both fun and fair, and the anime-style cutscenes are something special to behold. My only criticism for the game was its ridiculous price. When the game came out in the U.S. in 1995, it cost nearly $100. I had to mow so many lawns that summer to get the game. 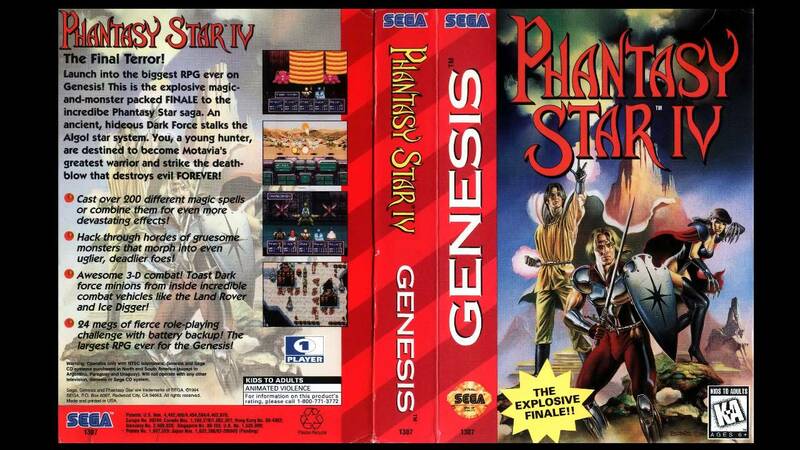 That said, there was a lot of game to play, and Phantasy Star IV is a must play game for RPG fans. PLAY THIS GAME!!!! Seriously, find a way to play this game. 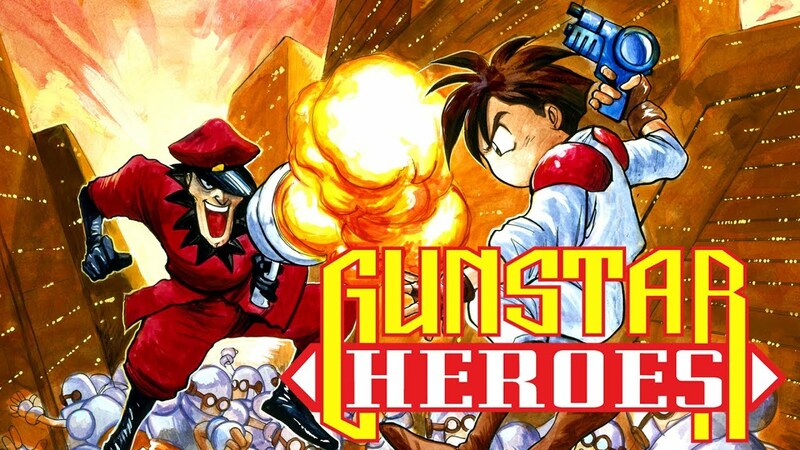 Gunstar Heroes is one of my favorite, if not my favorite, run and gun side-scrolling shooters ever. The game is pretty much perfect. It nails the run and gun platforming these types of games have, and it does so in a frantic but never overwhelming manner. In many ways, Gunstar Heroes is the better Contra. The game was full of huge, colorful worlds, dozens of different enemies, and awesome weapon combinations. It also was a pretty perfect co-op experience. The game was really awesome to play on your own, but when you added a friend, it became something else entirely. This is one of those games that has aged well and is still so much fun to play today. Once you’re done playing Streets of Rage 2, come over to Gunstar Heroes. Super Nintendo had The Legend of Zelda. Sega Genesis had Beyond Oasis. Beyond Oasis is an action adventure just like the Legend of Zelda. However, what I always appreciated about Beyond Oasis was that it wasn’t a challenging game, and it didn’t have many puzzles in need of solving. Beyond Oasis was for people just starting to get into RPGs. It focused more on the hack-n-slash gameplay, which was a lot of fun. Plus, I’d argue that it was as good looking as any Genesis game of that era. Beyond Oasis isn’t an extremely long game, but that was the point. Unlike Phantasy Star, which was a deep experience, Beyond Oasis gave you just enough to get hooked but never too much to make you feel overwhelmed. 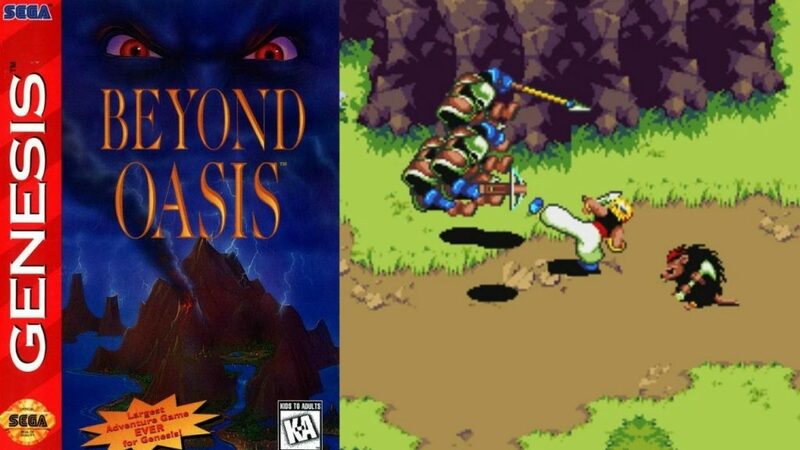 Even if you’re not a huge RPG fan, try Beyond Oasis. It’s a really great action game. Okay, I’m cheating a little bit here on this one. Mega Man: The Wily Wars was only released in North America via the Sega Channel, Sega’s ahead of its time online service for the Genesis. You had to subscribe to the Sega Channel through your cable provider, and the game was available to download to your Genesis. 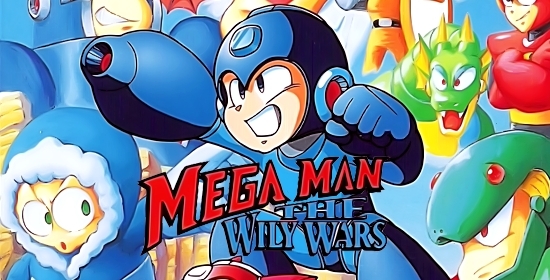 That said, The Wily Wars was a remade collection of the first three Mega Man games, upgraded to 16-bits. It was the first time Mega Man appeared on a non-Nintendo console, and boy, was it a fun experience. I got the chance to play The Wily Wars on Sega Channel back then, and it was such a fun game. Yes, it’s still as hard as you remember those early Mega Man games being. However, it was the best looking version of those games. Nowadays, you can find reproduction cartridges of the game for Genesis, something that you need to do as there was never an official release of the game. It really is one of the best platforming games on Genesis and was truly a must play game back then on Sega Channel. It’s a game you should definitely play today.